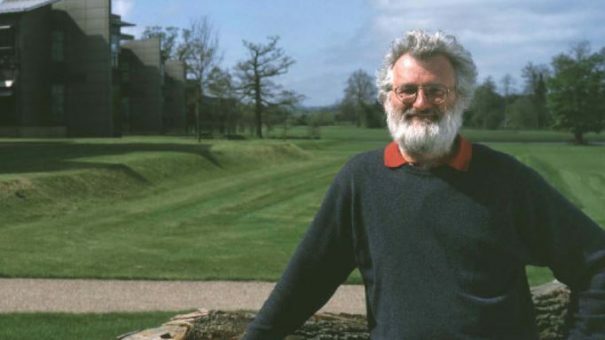 One of the world’s foremost biomedical scientists and a pioneer of genomics, Professor Sir John Sulston has died at the age of 75. Spending his entire life in pursuit of greater of biological mechanisms, Sir John will be remembered for being the UK’s leader of the Human Genome Project in the 1990s and early 2000s, and for ensuring that this genomic data remained in the public domain. In 2002, he was awarded the Nobel Prize in Physiology or Medicine for his contribution to the understanding of how genes control cell division and cell death in an organism. This was based on his early research spent tracing the division of cells of the adult nematode worm, C. elegans to understand how cells divide and die to create a whole organism. His findings made a vital contribution to understanding of how cancers develop, and oncology and genomics are today two of the most exciting fields in medical science, and future revolutionary progress will rely on Sir John’s foundational work. 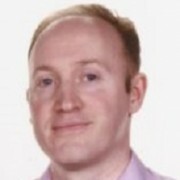 He became a Founding Director of the Wellcome Sanger Institute and the Wellcome Genome Campus in Cambridge, which is one of the world’s leading genomic research centres. “He had a burning and unrelenting commitment to making genome data open to all without restriction and his leadership in this regard is in large part responsible for the free access now enjoyed. “I am deeply saddened to hear of John’s death. His contribution to genetics was unparalleled and in setting up the Wellcome Sanger Institute he changed the course of genomics research. It was an honour to know him and sympathies go to his family,” said Eliza Manningham-Buller, Chair of Wellcome. Sir John was born on the 27 March 1942. From an early age, he was fascinated with the mechanical workings of organisms and went on to complete his undergraduate degree in organic chemistry at Pembroke College, Cambridge in 1963. He then went on to join the Department of Chemistry at the University of Cambridge, where he carried out a PhD on nucleotide chemistry. However it was The Human Genome Project which provided the greatest drama in Sir John’s distinguished career. Conceived by James Watson, one of the discoverers of DNA, the project was seen as biology’s answer to the Apollo moon programme when it was launched in 1990. Sulston’s work on the nematode genome made him a natural candidate to lead the UK arm of the transatlantic collaboration. The project soon became a race, as US scientist Craig Venter announced in 1998 that he would launch a rival private venture, Celera Genomics, to sequence the human genome. Venter declared that he would complete the project in half the time of the scheduled six years that Sulston and colleagues were aiming for. Sulston was determined to see off Venter’s challenge, and the UK’s Sanger Centre worked with the US National Institutes of Health ( the NIH completing about two thirds of the work, the Sanger Centre and other international centres the rest) to complete a ‘first draft’ of the human genome ” by June 2000. However it wasn’t until 2003 that a more complete version of the genome was released. The prospect of Celera Genomics being able to patent certain genomic sequences confirmed Sir John’s lifelong commitment to open science for the public good and his suspicion of the profit motive in medical research. Nevertheless, the field of genomic research looks set to progress via partnerships between publicly funded institutes such as the Wellcome Trust and the NIH, and private companies looking to use the data to develop new diagnostics and treatments based on this knowledge. The revolution that John Sulston helped kickstart is only just beginning, and will transform medicine in the coming decades. His work has also helped to keep the UK at the forefront of genomic research, with ventures such as the 100,000 Genomes Project building on his work.